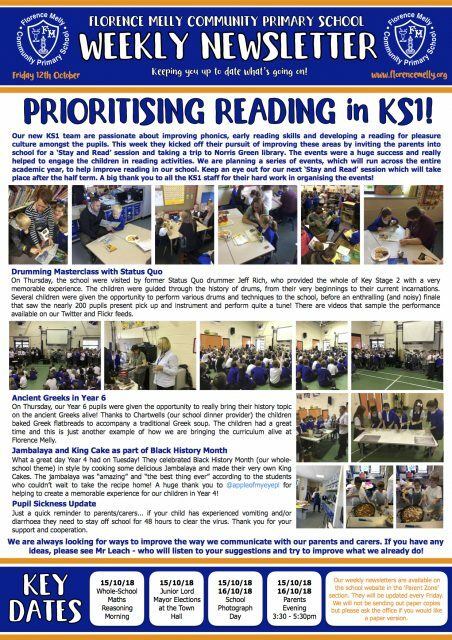 Please see attached our latest newsletter which is packed full of the amazing activities our pupils participated in this week. Every day and every week is always action-packed and fun-filled here at Florence Melly and this week proved to be no different. That is what we are all about…creating memorable experiences for our pupils.